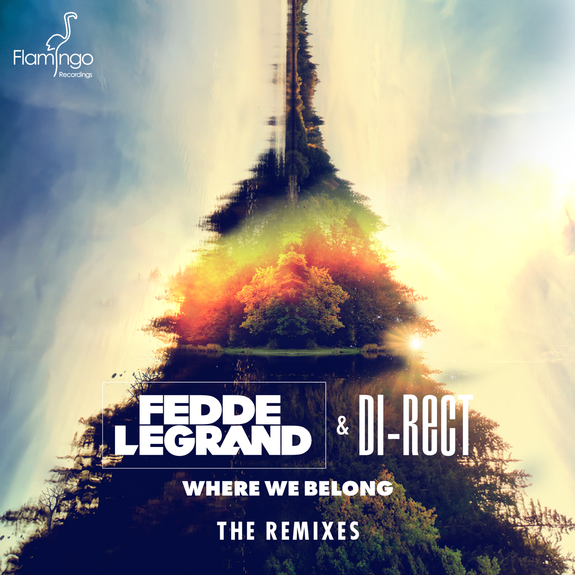 After endless studio time and countless hours behind the mixing desk, Fedde Le Grand & DI-RECT’s ‘Where We Belong’ was finally perfected and released at the tale end of 2013. The end result rounded off a sterling year for the Dutch super producer and cult rock act who saw their track ascend to #11 in the overall chart and sustain a top 10 in the genre charts right the way through to January 22nd. But now, courtesy of a diverse group of fellow producers, ‘Where We Belong’ continues its passage with 5 unique remixes available to own on Beatport! From Bakermat to Zomboy, ‘Where We Belong’ undergoes treatment from each end of the spectrum with the energy levels cranked up a notch with each producer who takes to the fore. Stepping up to offer his characteristic bouncing drops, Henry Fong turns the record into a surefire festival favourite with an enormous accented bass section that changes the entire face of the original production. Continuing the huge hook tip to great effect, newcomers Holl & Rush turn the track on its head for an electro house smash, whereas Jochen Miller harnesses the original’s euphoric element and pushes it to the enth degree. Bookending the package, Zomboy is set to delight fans with typically huge remix material after a little hiatus from taking on others tracks and finally house producer currently hotly tipped across Europe, Bakermat, brings proceedings down to his inimitable funky controlled grooves. Since his headline performance at the world renowned BPM Festival in Playa Del Carmen, Fedde has taken a bit of time to get into the studio and assess before setting out for a huge year ahead. With incredible tracks in the locker and host of big dates in the calendar be sure to catch Fedde when he comes to a venue near you.